This week’s new stuff. 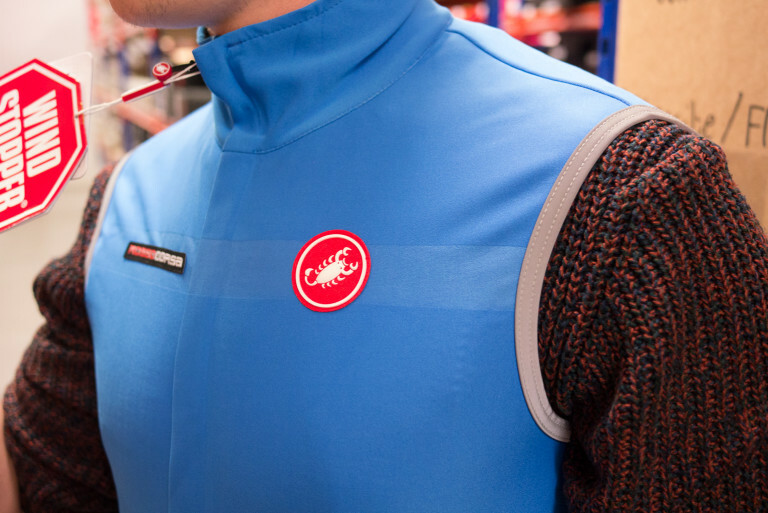 Includes Castelli’s new cyclocross clothing range and the grips that were so pink that our camera couldn’t record their colour properly. This is one for cosy jacket. 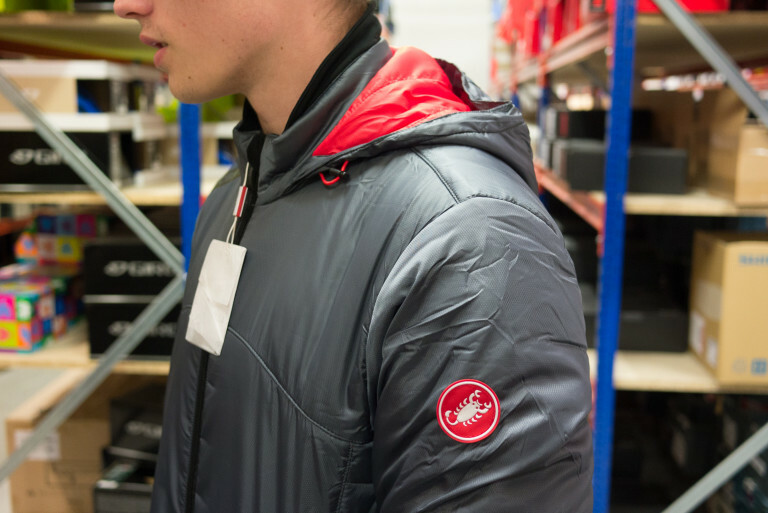 Quilted synthetic-down jacket with fleece lining inserts for extra warmth. Water-repellent finish. It’s not designed for cycling but it is designed for cyclists. Castelli’s spiel is that it’s for wearing on the startline before a cyclocross race. Or it’s for your pit crew to wear (you do have a pit crew don’t you?) Or it’s for your fan club. We imagine that it will most be seen in the pub or on the campsite. What could be more awesome than a Fawesome? Why, a Fawesome 2 of course! Perhaps not ideally paired with a big woolly jumper underneath. Windstopper X-Light Plus fabric on front and shoulders for light weight and almost total wind and water protection. Nano Flex light fabric on back protects from wheel spray. 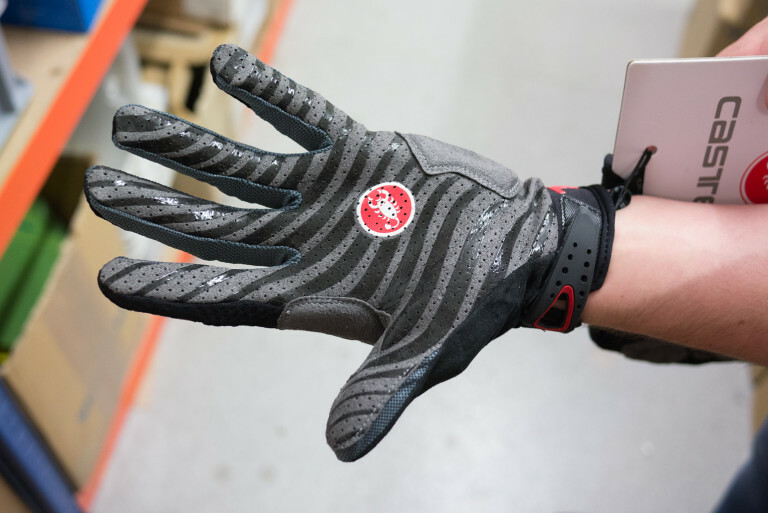 When is a road glove not a mountain bike glove? When it’s a cyclocross glove. It’s looks like a very nice off-road glove for cooler conditions whatever sort of bike you’re on. Micro-perforated Clarino palm with silicon print for grip. Embossed neoprene back of hand and cuff with Velcro enclosure. Micros suede thumb panel. 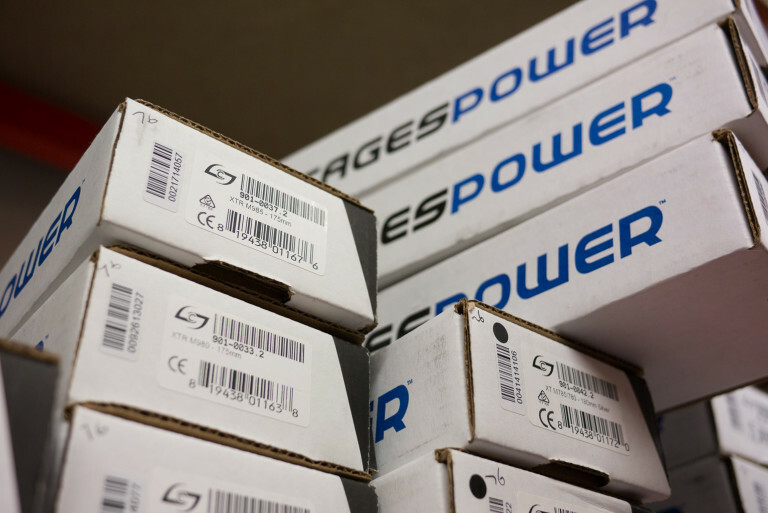 There’s a large number of folk who don’t realise that you can get Stages Power cranks for your mountain bike. 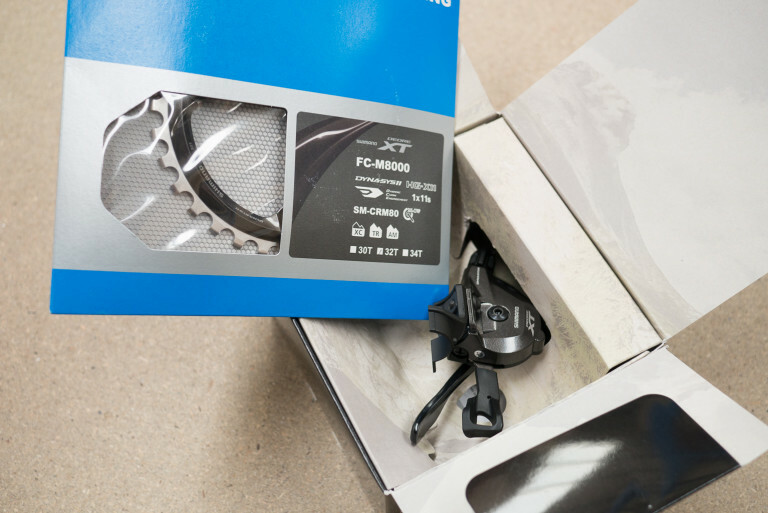 We have Shimano XT and XTR flavours in stock in multiple crank lengths. Do you prefer your carbon to be shiny or matt? Personally I’m partial to a bit of gloss. 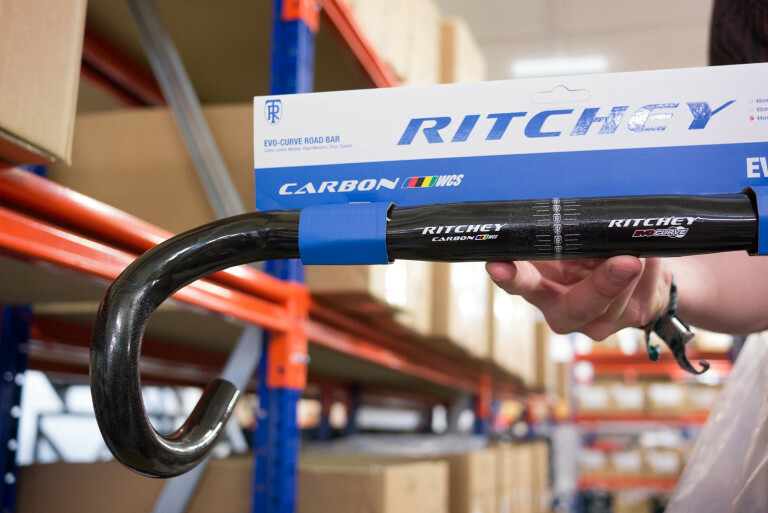 These bars are typically Ritchey. Good shape. No gimmicks. Short reach, shallow drop with 4 degrees sweep at the ovalized top section and smooth, double-radius drops. Centre section is aero bar compatible. No-slip grit at stem and brake lever mounting surfaces. Cable grooves. These are retro and modern all at the same time. Retro because they are purple. Modern because they’re purple plastic (rather than purple anodised aluminium). 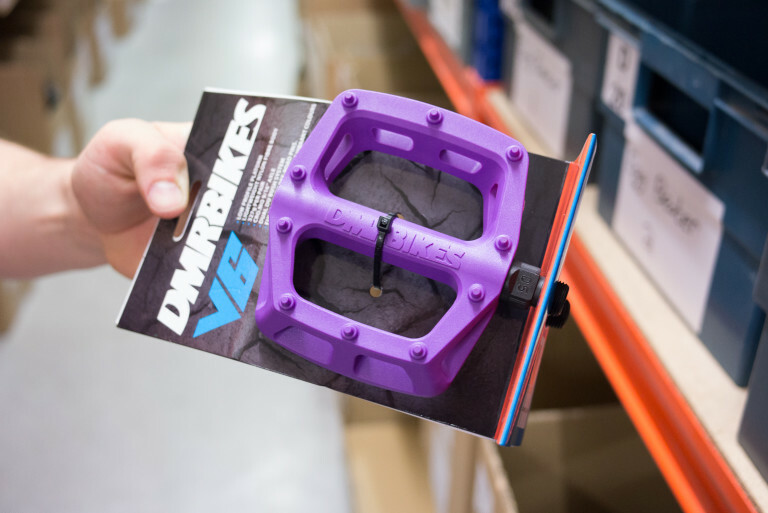 Why on earth would you want pedals made out of plastic you might wonder. Well, they’re light, surprisingly tough and relatively cheap as chips. 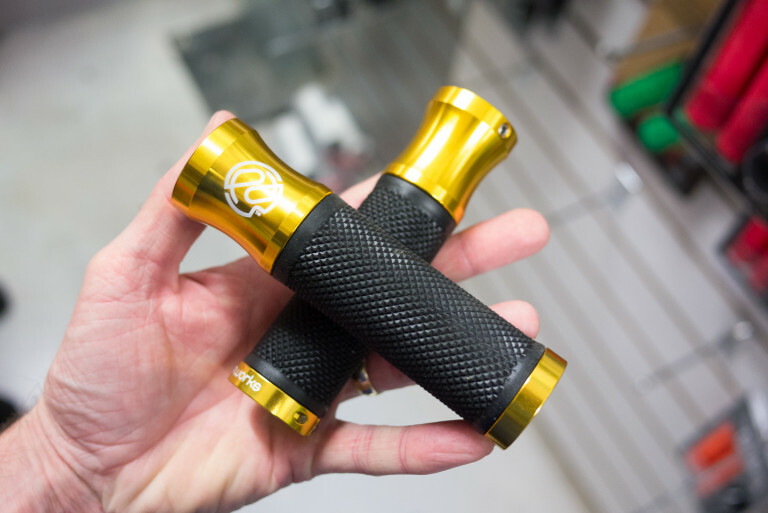 If you go through lots of flat pedals anyway – aluminium or otherwise – then it make sense to switch. 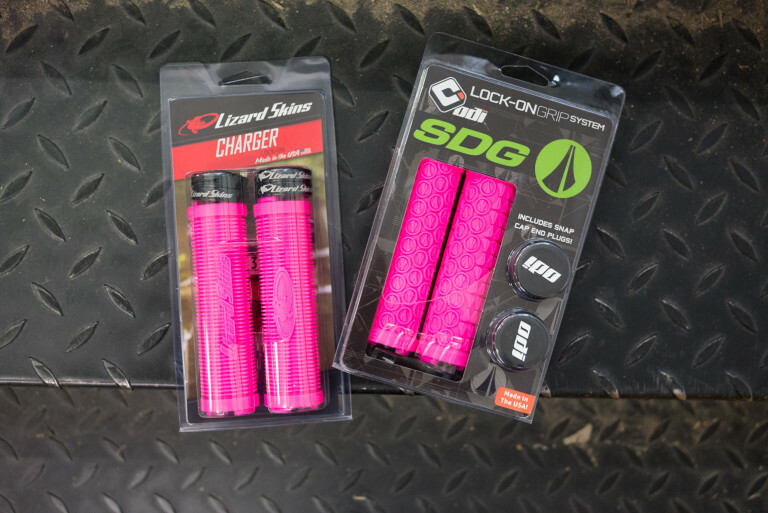 The battle of the pink grips. Pink is a funny colour to photograph. The digital camera (Panasonic G3) hasn’t captured the colour very accurately. Sorry about that. The photo makes the grips look flouro pink when in actual fact they’re more baby pink in the real world. The tread design on the SDG is a bit fancier (one side for pinger grip, one side for palm comfort) but the Lizard Skins Charger is a perennial favourite amongst riders. Oof! This is one sturdy lock. This U-lock is more commonly found securing motorbikes. 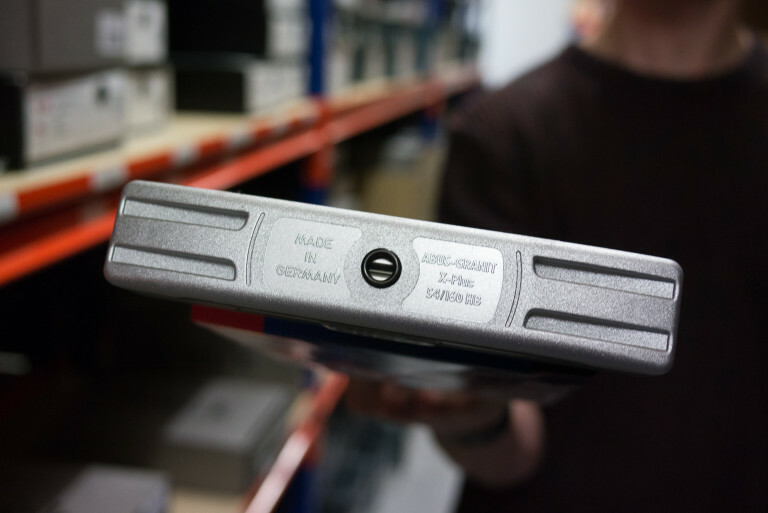 It’s not exactly something you’d want to carry around with you on the bike very much due to its hefty weight but it offer fairly unparalleled levels of security and reassurance. 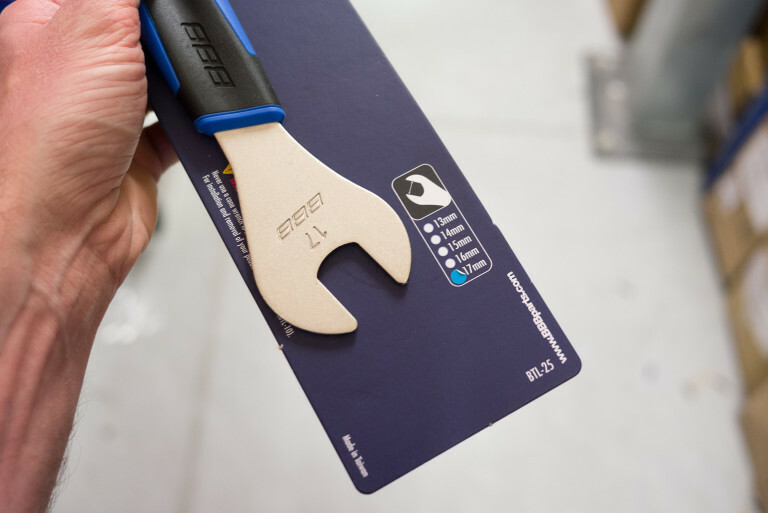 Abus really are the best lock makers, full stop. Spot the photographer. It’s not hard is it? The shades share more than just a similar blue colour with POC shades. The super bendy frames are made from Grilamid with Megol rubber on all contact points. 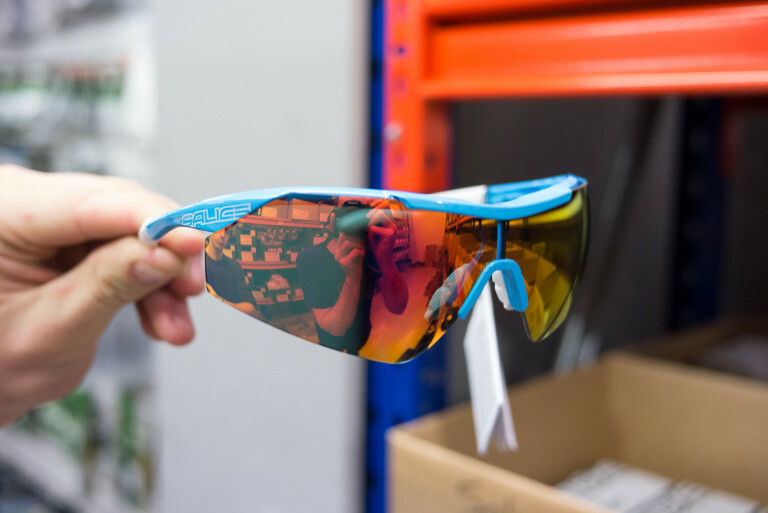 The Salice 004 are lightweight and small framed, making these sunglasses suitable for those with smaller faces and are ideal for both male and female cyclists. The multi-layer mirror coating cuts glare and increases contrast, whilst the hydro-repellent IDRO lens repels water and dust for clarity of vision. Interchangeable lens design – you get these mirror lenses and a set of clear lenses in the box. I’m mainly featuring this tool because I need to remember to service the bearings in my mountain bike wheels. It’s easy to forget in this day and age of cartridge-bearing-this and sealed-bearing-that, that a lot of good wheels still have cup and cone bearing. With good reason – they can last for aaaaages. But they do need to looked after. Oops. I’ll admit, these are a bit baffling to me. 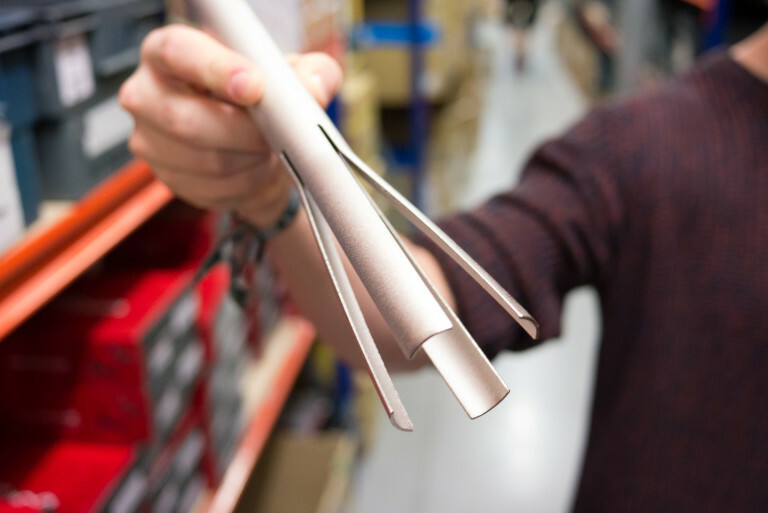 The idea of the extended grooved inner collar is that that’s where your thumb and index finger wrap around “for perfect bar control”, whilst the rest of your hand is cushioned normally by the rubber main bit of the grip. I guess you never know until you try such things eh? 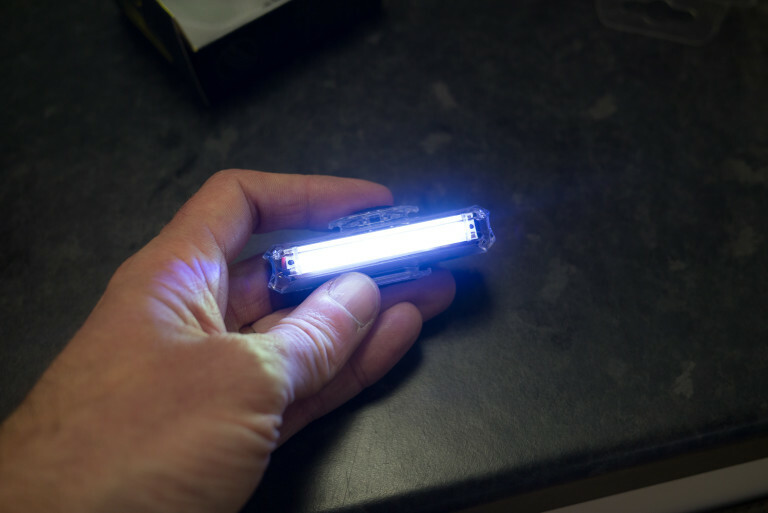 There are a few reviews on our product page from very impressed Speed Metal converts. The venerable Bel-Air has been out for quite a number of years now. 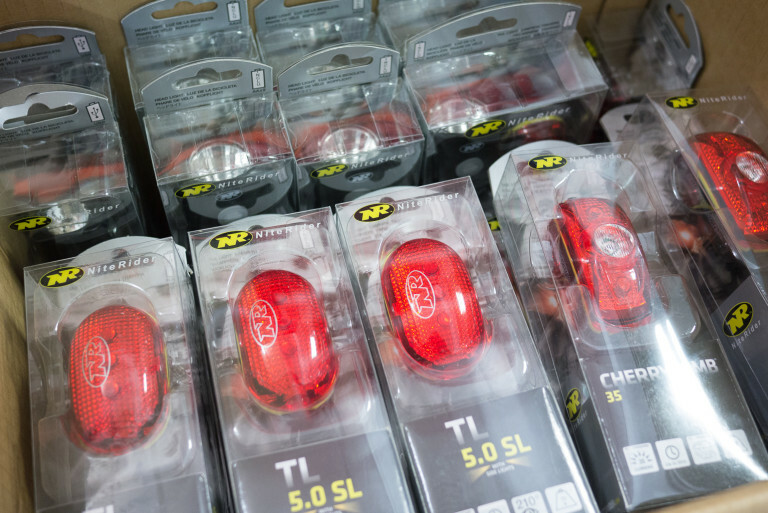 Some riders – mountain bikers mainly – swear by it. I’m one of them. I’ve tried supposedly more modern saddles but I don’t get on with their rounded tops and their lack of a raised tail. This particular Bel-Air in the photo is finished in ‘Gripper Storm’ which is designed to add extra grip and purchase. Long live the Bel-Air! How good is new XT? Flipping well amazingly good that’s how good. We’ve now got stock of the 1×11 bits and bobs for all your enduro and trail riding folks who have been waiting to take the plunge. It wasn’t just me who noticed that it was rather gloomy at about 8pm last night. Summer is not over, don’t worry. The kids haven’t even gone back to school yet. But it has got to point where you have to think again about how long you’ll be out for on evening rides. Featured purely because it is by far the best looking helmet on the market at the market. Everyone who browses our helmet display picks it up before any of the others. 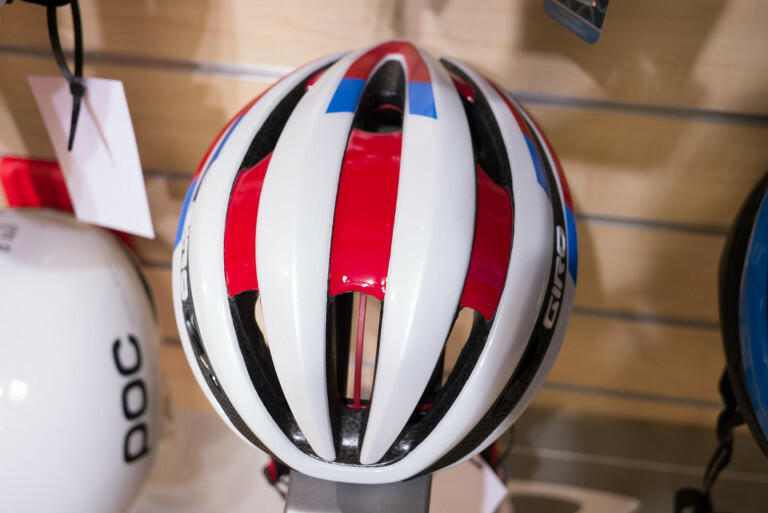 Okay, so most people put it straight back down again when they see the price tag but there’s no denying this helmet – in this colourway – is an absolute belter. 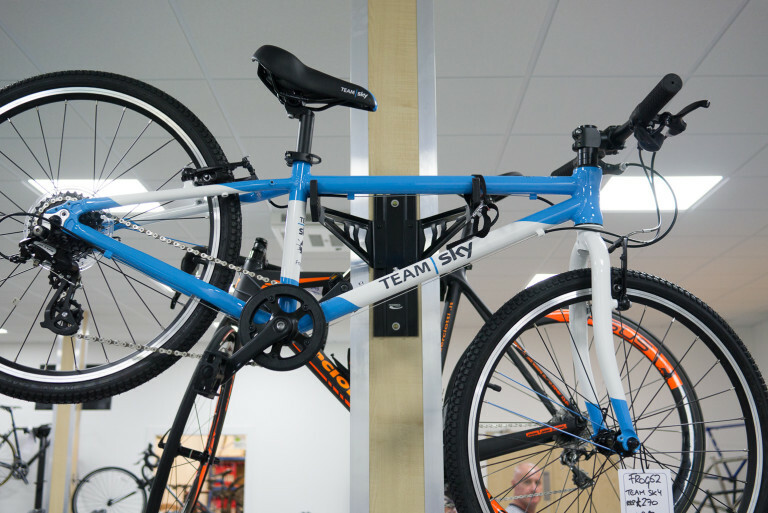 We’ve re-stocked our hugely popular Team Sky colours Frog kids bikes. 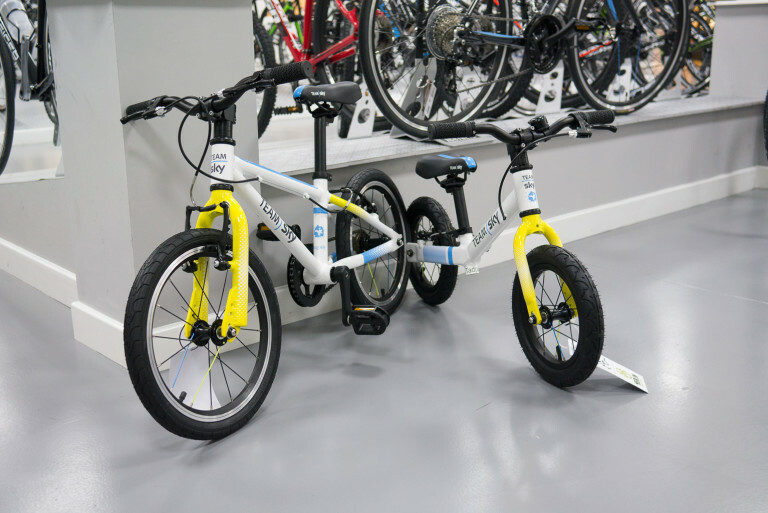 Proper bikes scaled down for proper youth and toddler riders. These bikes are full of nice little functional touches that make all the difference. 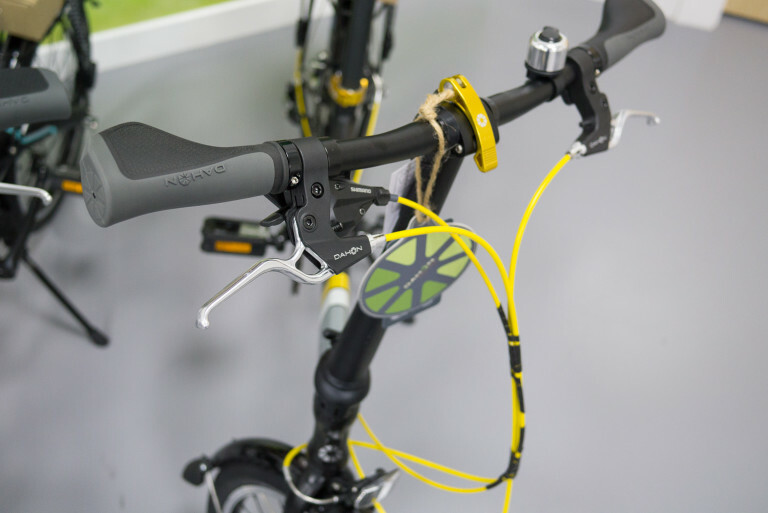 Even the coloured single spokes serve a purpose; they’re to help you find the valve hole. Nice. There’s something about August that brings out the commuters. Or people who are contemplating having a go at commuting by bike anyway. Dahon are a great option for people who don’t have to travel significant miles to get to there workplace. They may be cycle to and from the train station at either end of their journey, for example. Dahons are easy to use, well made and have a little bit of contemporary style to them. 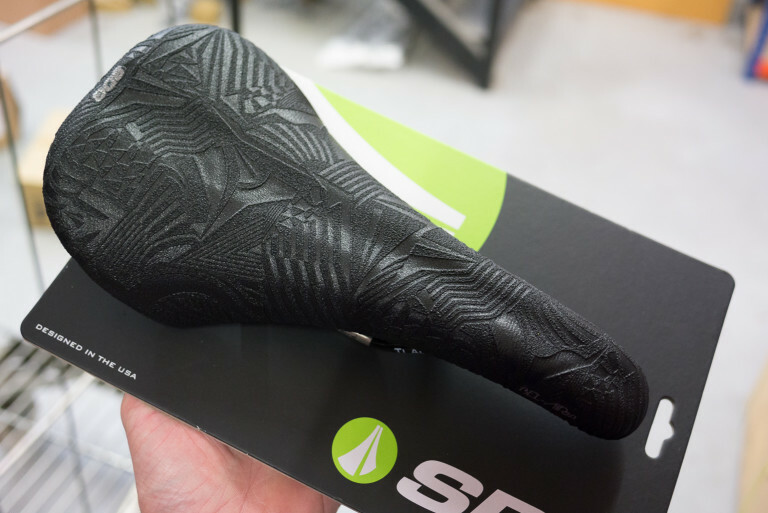 For helping you find your ideal saddle. This device has seen a significant increase in usage. It seems people have got wind of the fact that we have one. 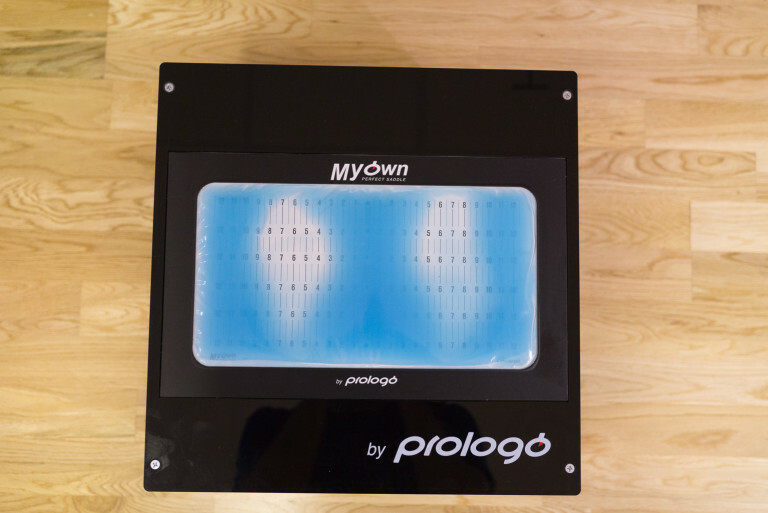 Sit on the gel-filled pad, do a few special moves, let us measure some other things and then input the data into a piece of special software – et voila! A shor tlist of recommended saddles is printed out alongside your vital sit bone and spine flexibility stats. Tagged abus, bbb, castelli, dahon, dmr, frog, giro, goods in, icetoolz, lizard skinds, m8000, moon, niterider, portland design works, prologo, ritchey, salice, sdg, shimano xt, stages, team sky. Bookmark the permalink.